Directions Chew one tablet morning and night. Uses Patented hair regrowth formula for advanced hair loss and excessively thinning hair. 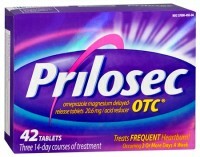 * Powerful DHT Inhibitor. Time-released formula. 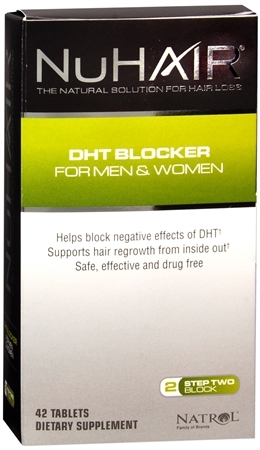 NuHair DHT Blocker combats hair loss and thinning hair with a nutritional approach: an all-natural supplement that nourishes and supports hair regrowth from the inside-out. The benefit is thicker, healthier hair for men and women. Research has proven conclusively that the primary cause of hair thinning in men and women is DHT (dihydrotestosterone) - the 'bad' form of the hormone testosterone. As we age, DHT builds up in the scalp and damages the hair-producing follicles, which eventually die.